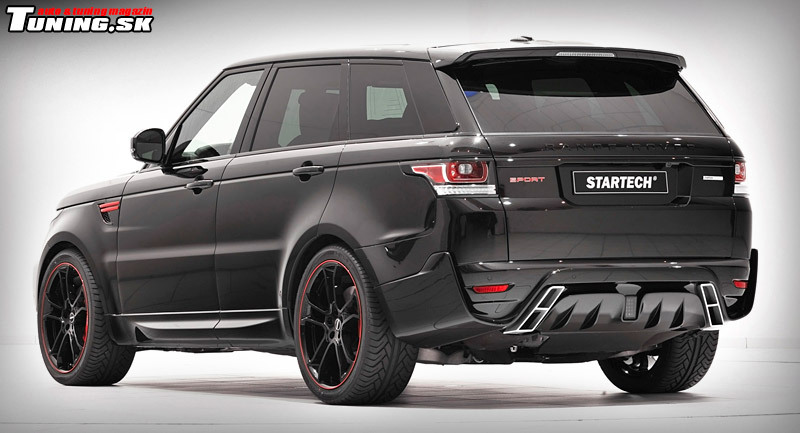 German tuning company Startech is behind the newest packet for current model of Range Rover Sport. With even stronger dynamic look it gives to the luxurious SUV, creators didn't fell short of intensifying its exclusivity and performance. Manufacturers of new generation of Range Rover Sport claims that it is their greatest sports car yet. New Range Rover Sport is more dexterous than its predecessor and promises endless hours of entertaining driving. Thanks to its undercarriage, it won't fall behind in lighter terrain and on rougher country roads. Still not satisfied? You can grab the newest kit from Startech company enhancing its sport visage and performance. 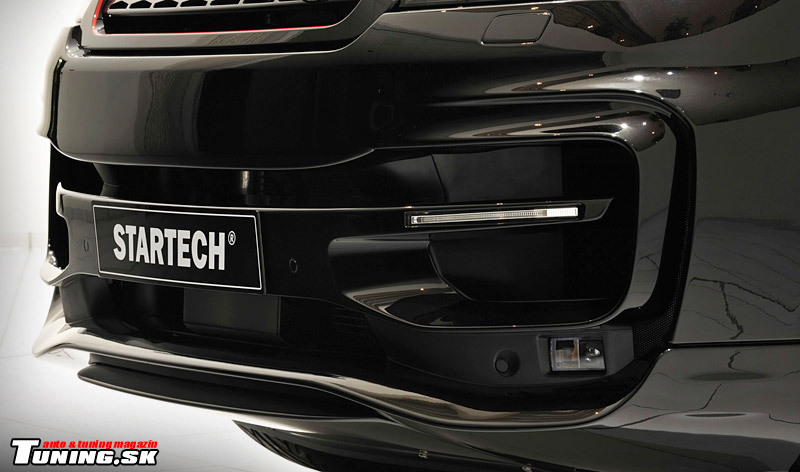 Rendition of Range Rover Sport by Startech company has its new front bumper with larger air intakes with better aerodynamics. Black version of Range Rover Sport is hooked up with discrete LED daytime running lights and inconspicuous air ducts designed to create stronger thrust of bottom rim while at the same time providing sufficient resource of cold air for engine and breaks. Most seductive element from side view is without a doubt a set of 22-inch alloy wheels Startech Monostar R with five-spoke design. 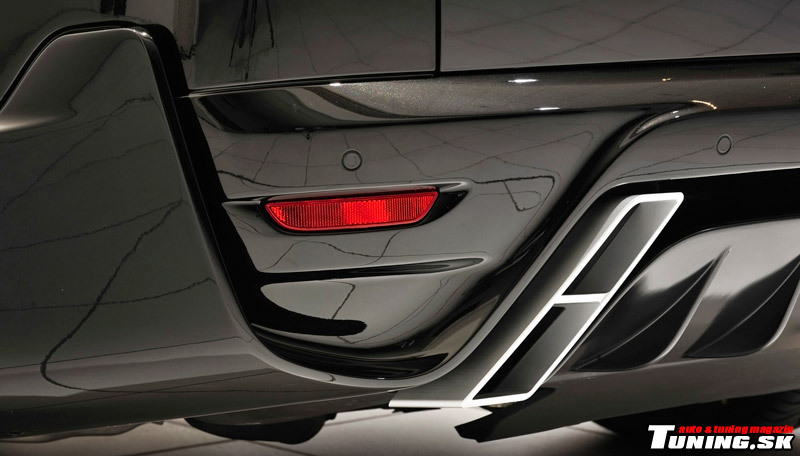 They also comes in a version with a red pinstripe on the rim flange that you can find on side air ducts as well. At the rear, a new diffuser was also installed which incorporates tailpipe trim with two openings on each side. The Startech stainless-steel sport exhaust system gets a butterfly valve and a distinctive design with a finishing LED light. Owners of the turbo diesel Range Rover Sport can opt for the Startech PowerXtra SD30S performance kit, which boosts power output of the 3.0 SDV6 turbo diesel model by 31 hp while bumping peak torque by 80 Nm. The SD30S tuning kit consists of a processor-controlled plug-and-play auxiliary control unit and can be fitted easily in a short period of time. Tuning kit is driving up the output of the Range Rover Sport to 323 horsepower and 680 Nm of torque which is available at 2 000 rpm. These changes are translated into better acceleration and higher top speed. This power allows the vehicle to hit 100 kph (62 mph) in 6.9 seconds and 222 kph (138 mph) top speed which is admirable performance if you consider measurements and weight of vehicle. Another thing available for customer is adjustable exhaust valve for more expressive sound. There is also a special suspension lowering module that can drop the SUV’s ride height by about 25 mm (0.98 inches). 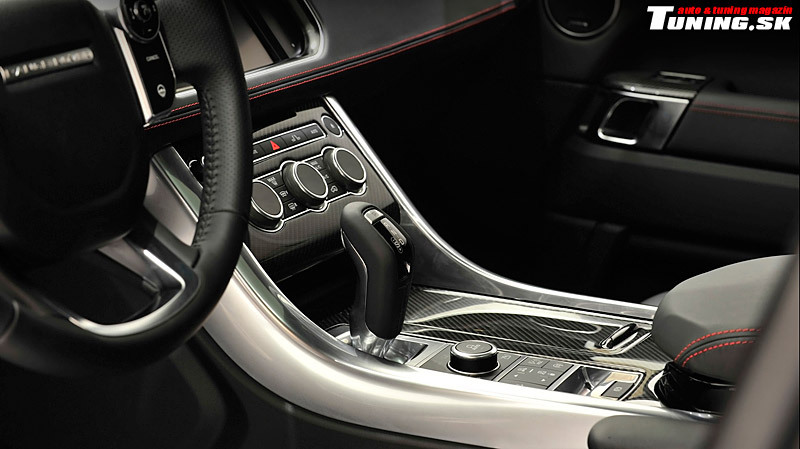 As for interior, you can choose from wide range of exclusive materials for a pleasant ride. That includes fine upholstery material with decorational embroidery and other decorational material. 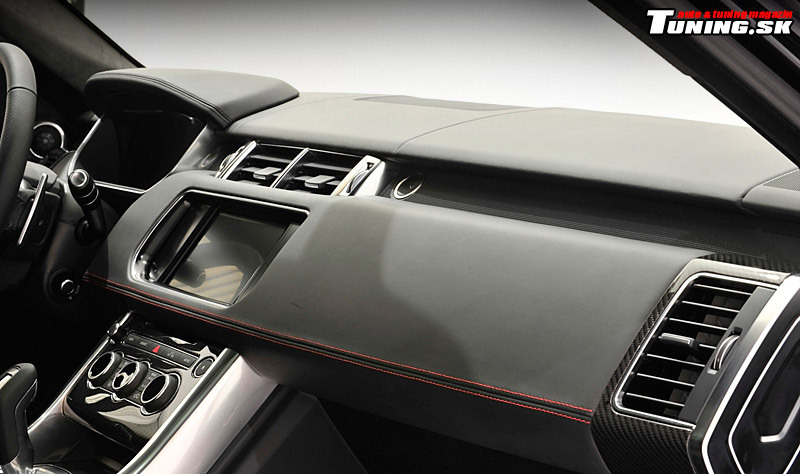 Also available are carbon-fiber covers of dashboard, aluminium pedal pads and for a special effect you can have your underlighted aluminium door sills installed. Thanks to its strong charisma and intense sound, Range Rover Sport from Startech can't be overlooked in the crowd of other SUVs.